Shiva Nirvana proved his worth with the film Ninnu Kori. He is ready with his next film Majili which will be out this Friday. On this occasion, we met him for a detailed interview. Here is the transcript. What kind of response did you get for Ninnu Kori? Post the film’s success, stars like Charan, NTR, Nagarjuna, and Mahesh called me and appreciated my efforts. The only common question which everyone asked was as to how I convinced Nani to accept a sensitive story like Ninnu Kori. 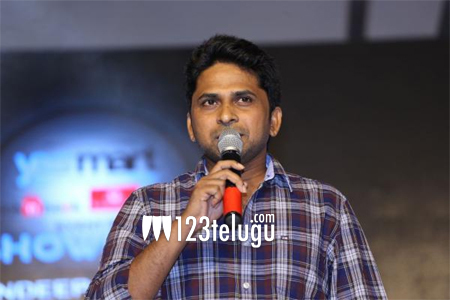 Does Majili have your real life experiences? Yes, there are a lot of instances which happened in my real life and I have added most of them in Majili. Even in my first film, my real-life experiences were added in the first half. Was Samantha the first choice as Chay’s wife in the film? No, during the scripting of the film, the wife’s character kept becoming very strong. Once the script was locked, Sam’s name popped up in my mind and I shared it with Chay. As he loved the conflict between the husband and wife, he said okay right away. Most of the directors have given flops as their second films. Do you believe in such things? Even I have heard about it and many are mentioning it to me on a daily basis. The only thing I can say is that I worked doubly hard on this project and feel that this film will be a bigger hit than Ninnu Kori. Did Samantha ask for adjustments in her role to suit her stardom? No, not once did she ask me to alter the story. In fact, she was even more excited to play her part which was quite challenging for her. You will see Sam the actress in Majili and not the other way around. About Chay’s performance in the film? Chay is not known to be a great actor but that perception will change as he will stun you with his moving performance. The manner in which he has evoked sensible emotions through subtle expressions is just superb and everyone will be very surprised to see a new Chay with Majili.